Sometimes (only sometimes!) 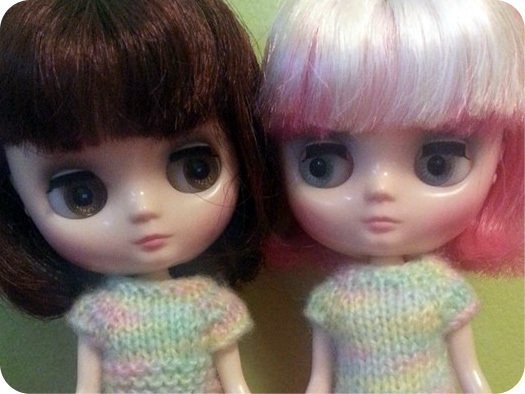 when I haven’t touched my dolls in a while, I feel a bit guilty for having them. Sometimes it’s because I’m aware of their value and “oh, I suppose that money could be put towards something else like X, Y or Z”, and sometimes it’s because I get feelings of “I bet someone else would have fun with them or appreciate them more”. And then I think about how I would feel if I were to sell them and that just squashes all those feelings because nope! 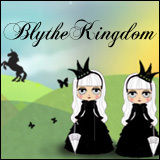 Blythe is a ‘happy’ place for me and darn it, I’ll keep my dolls if I want to – even if I haven’t touched them for several weeks because I’ve been busy with schoolwork or busy at the hospital. 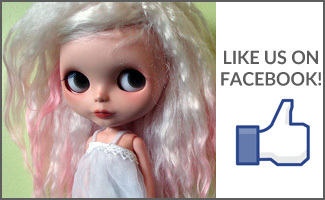 I have a couple of dolls that rarely attend meets because of how gigantic their hair is and troublesome it is. I have a couple of dolls that don’t go out simply because I don’t have a large clothing selection for them (ahem, the Middies…). And that’s when I start to be more aware of who goes to meets, and the fact that I really ought to make more clothes. With that in mind, the next meet I go to should really include either Bennett (Margaret Meets Ladybug) or Cedar (Monique Magnifique) or maybe both! Maybe feeling a wee bit guilty is a good thing? It does make me aware of who needs a bit more attention in the doll family, but it also makes me aware of the fact that I don’t want to sell my dolls (and nor do I need to at this time). Just because I don’t spend as much time as I used to with them on a regular basis doesn’t mean that I don’t appreciate them just the same. 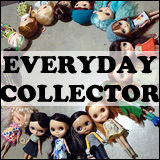 Do you ever feel guilty about not spending more time with your dolls? Question of the Week: Favourite stock doll? Youre such a sweet pea! I felt the guilts last year cause I barely touched my dolls while studying makeup. Now I’m back into them… A few moved on but I still have 25!